Synecdoche is always open to applications and portfolios of design driven talent. Even if there isn't a formal job posting we might be ramping up behind the scenes with new projects and potentials and on the verge of looking for talent. Synecdoche currently has projects ranging from hardware, furniture, installations, residential renovations, creative workspaces, specialty restaurants, and cultural centers. If you think you'd be a fit please read below. 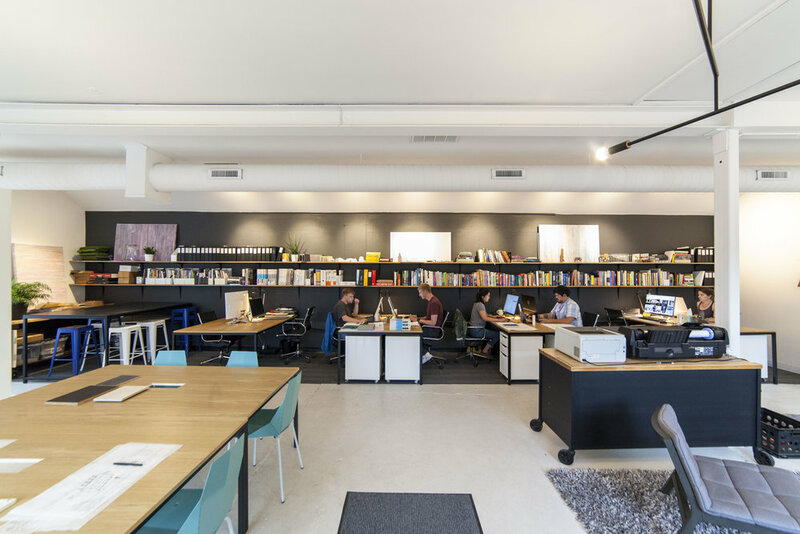 Synecdoche Design Studio in Ann Arbor, Michigan is seeking a motivated project designer with 2+ years of experience in the design and project management of buildings, interiors, spaces and objects focused primarily in commercial and cultural projects. Synecdoche currently has projects ranging from creative workspaces, specialty restaurants, hardware, furniture, installations, residential renovations, tech offices, and cultural centers. As a small office we are looking for a stellar team member skilled in design and project management and possibly nimble enough to pivot between designing custom pieces and preparing design and construction drawings. An awareness of construction, building codes, consultant coordination, project design and their detailing is required. An elevated attention to detail and organizational skill are a must. Software skills in Revit, Rhino and Adobe Creative Suite are required. Critical thinking and initiative to improve upon project designs and work independently is expected. If you feel strongly about skills and believe you have the capacity to develop the skills in the other portion of the job, please include a statement of your stellar learning curve in the application. Synecdoche offers a full employee benefits package with salary to match experience, health care benefits, vacation and professional development support. Please submit a design portfolio digitally (pdf - 10MB max or website) and resume to info@synecdochedesign.com with subject line "Synecdoche Hiring". Incomplete applications will not be considered. We like employees who can follow simple directions. We look forward to expanding with an excellent new team member. FYI we are small, sorry but we can't get back to every application, if you are a good fit we'll reach out and continue the discussion.